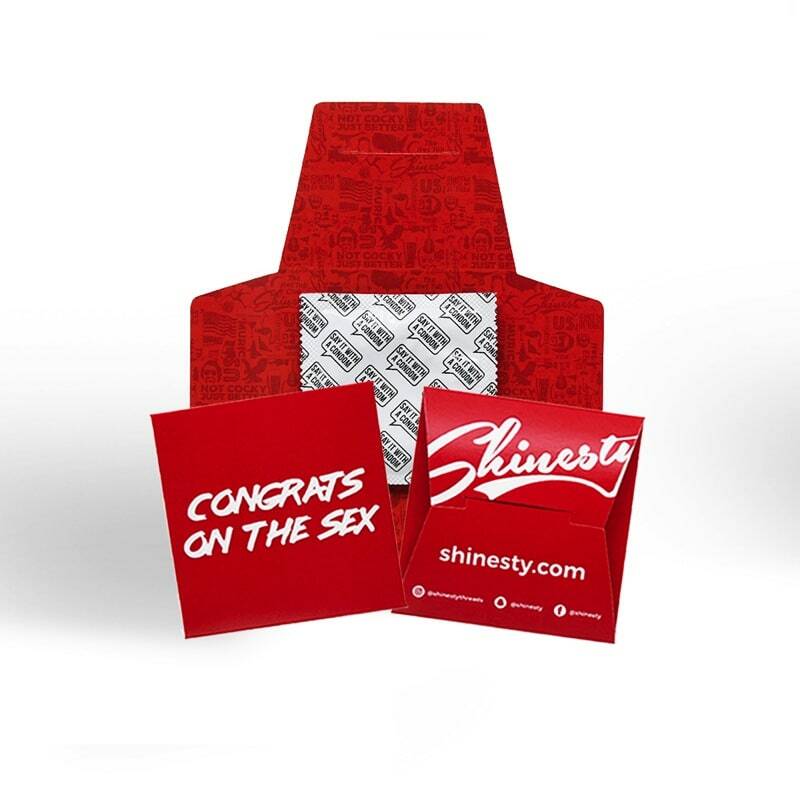 Custom Printed Foil Condoms use our proprietary technology that allows us to print your artwork in full color directly onto the foil of a condom. 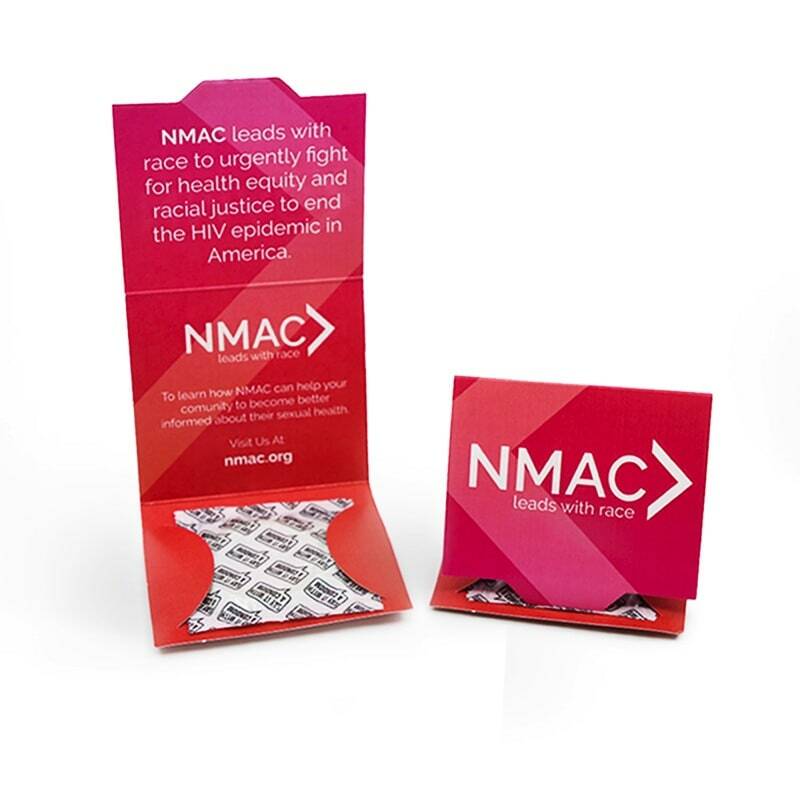 The wallet is a discrete and stylish way to carry a condom, offering greater promotional potential with extra space for personalization. Sometimes you just have more to say! 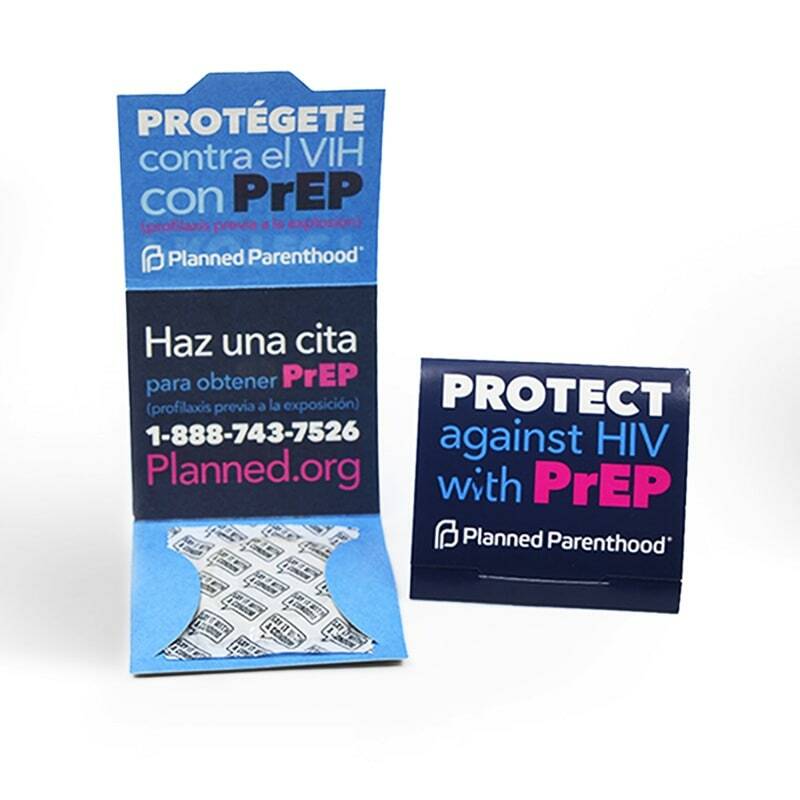 The Condom Custom Trifold is an easy-to-fold package that provides maximum space for customization, with six panels to print your design. 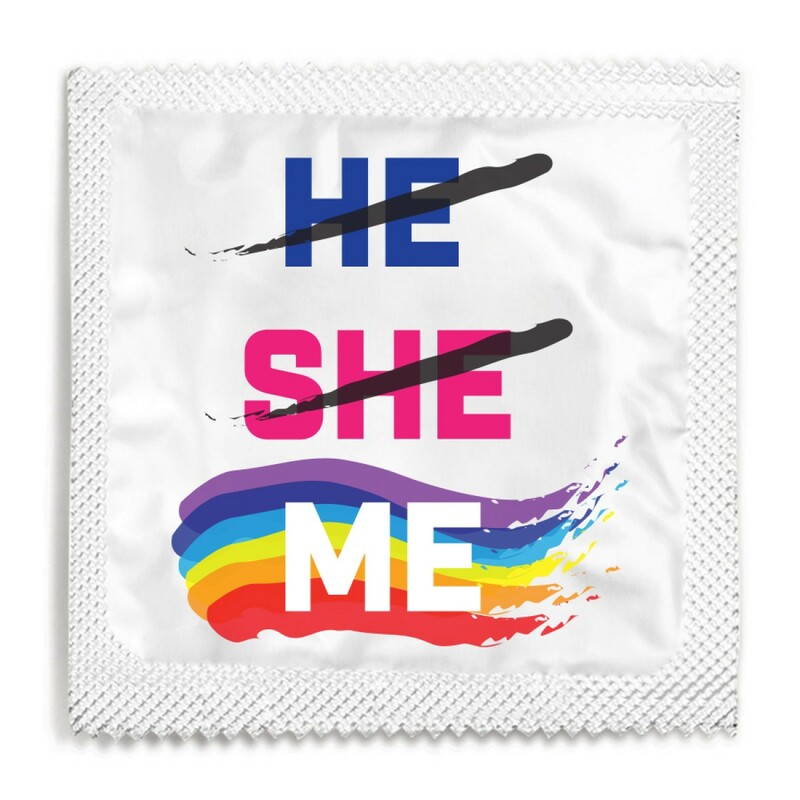 Express your individuality and celebrate yourself with our 'He She Me' Custom Condom Foils. 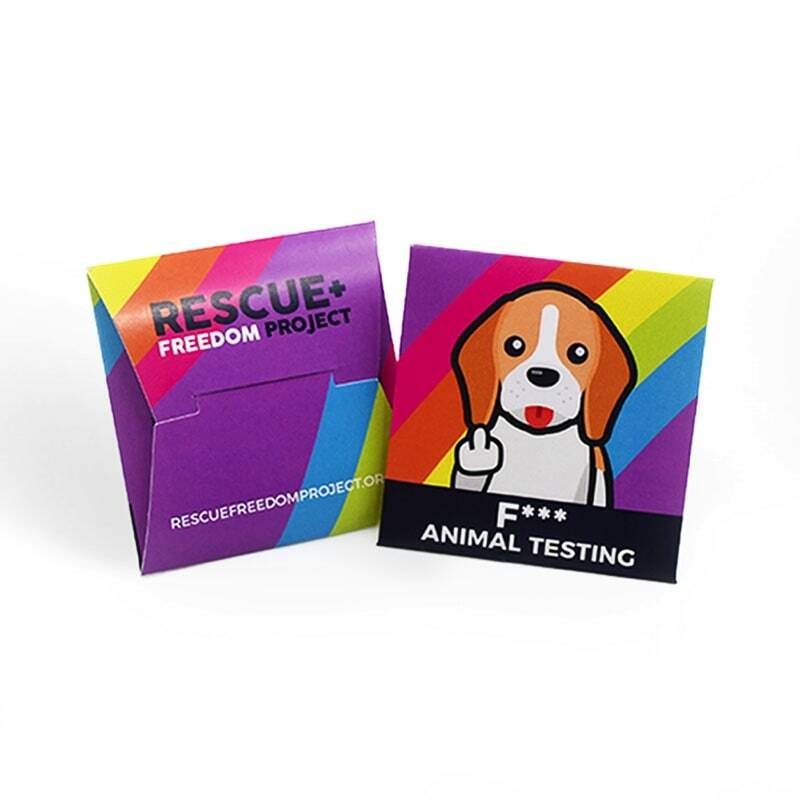 When it comes to combating gender roles, we've got you covered, literally! 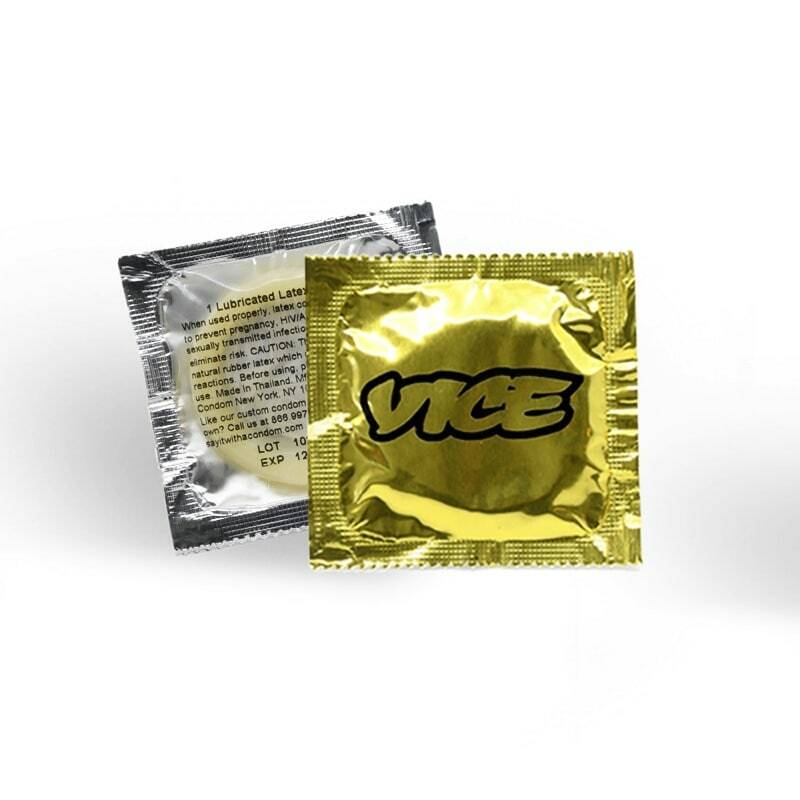 These condoms are FDA approved, standard sized, lubricated and have a shelf life of 4 - 5 years. 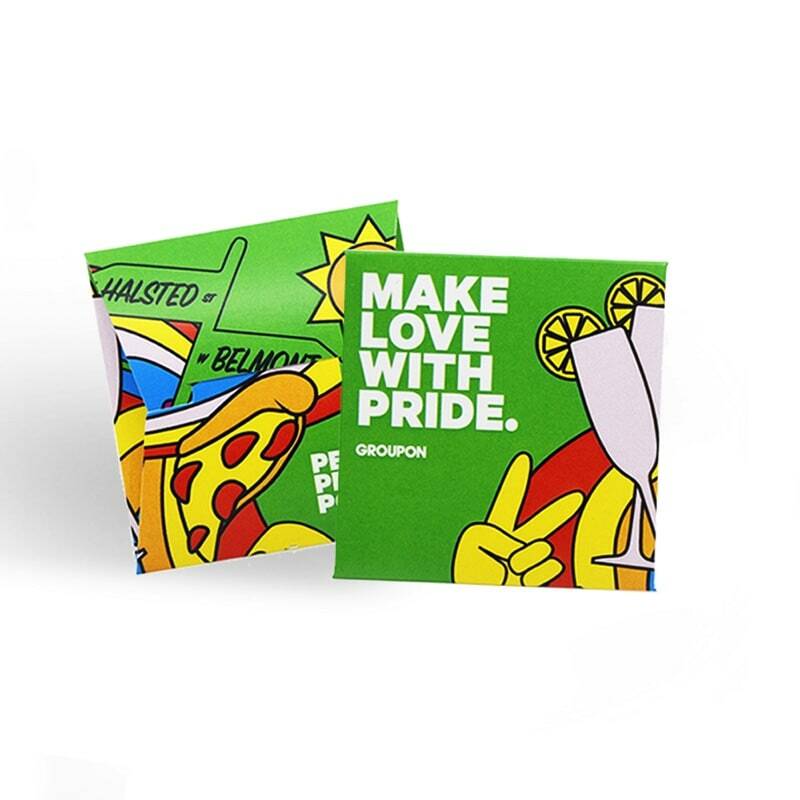 Stylized design printed on both inside and outside of condom wallet. Time tested. Mother approved. We love what we do. Month after month and year after year, our clients keep coming back. 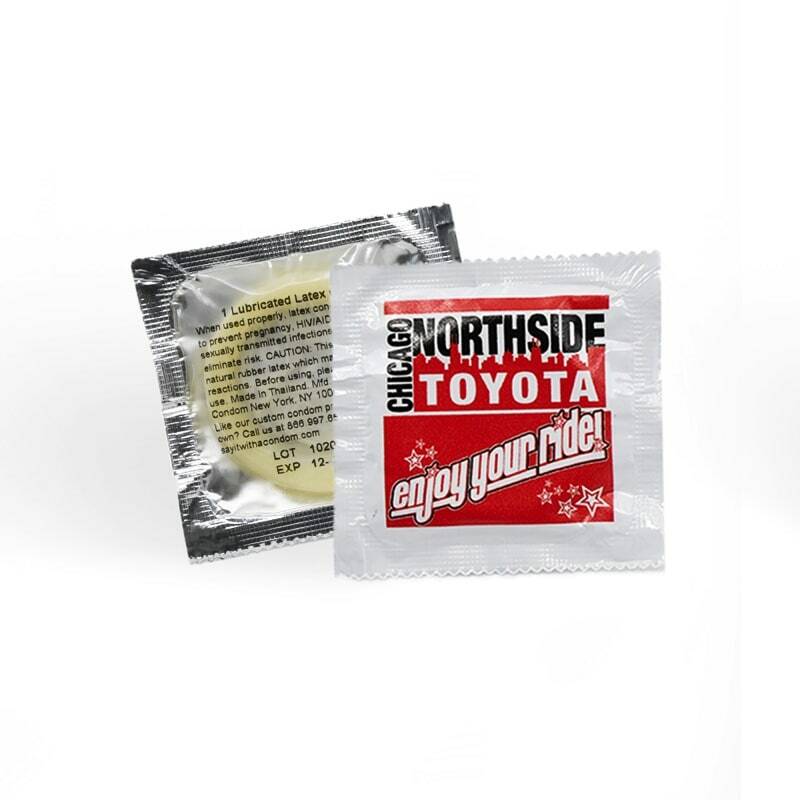 Between our propietary condom foil printing technology and our Konica and Kumori presses, you can rest assured that when you receive your order, you're receiving the best quality product possible. 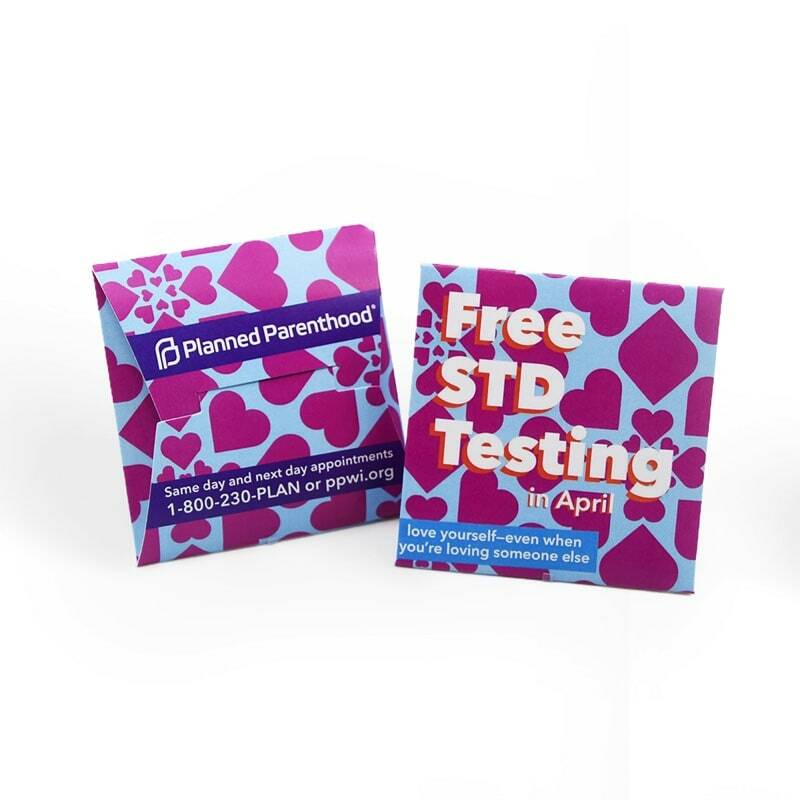 Planned Parenthood South Texas partnered with Say It With A Condom to effectively spread awareness of the services their center provides. 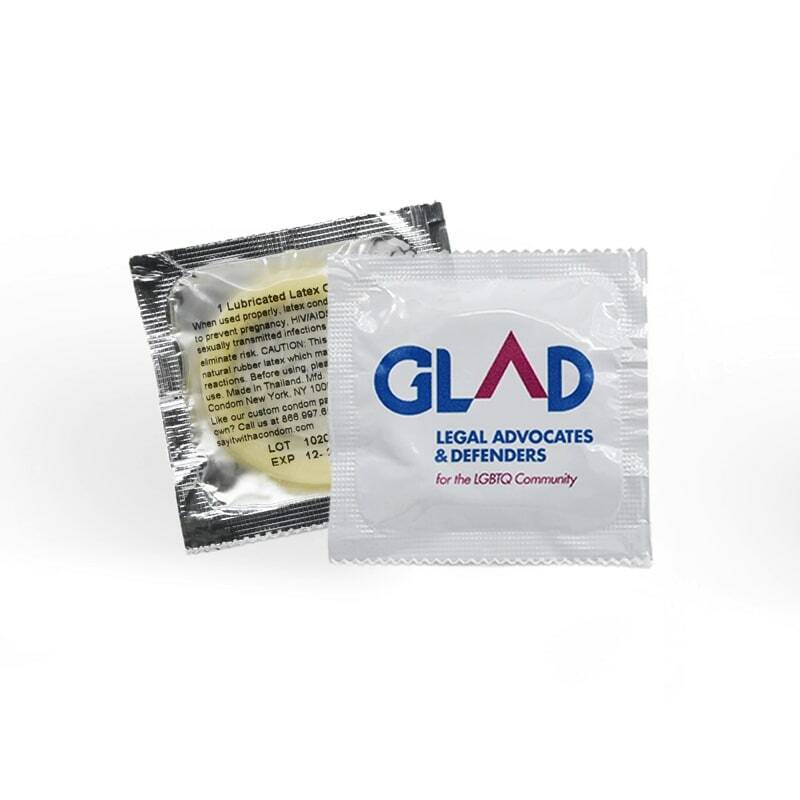 “I need to distribute condoms at whatever event we’re at and I need people to know they came from Planned Parenthood.” Read the full story. 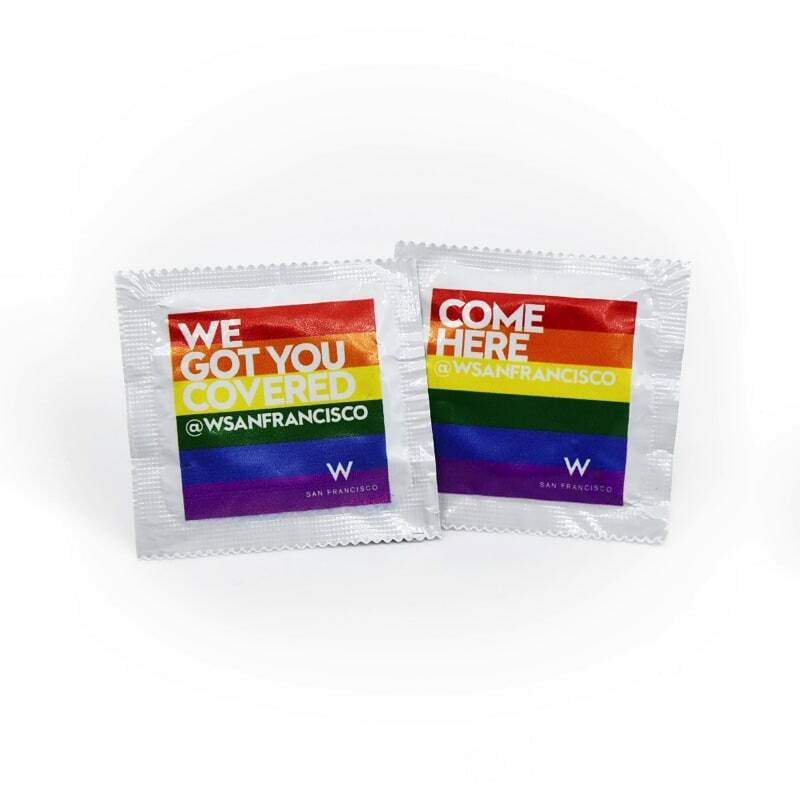 The Los Angeles LGBT Center is the largest LGBT center in the world. 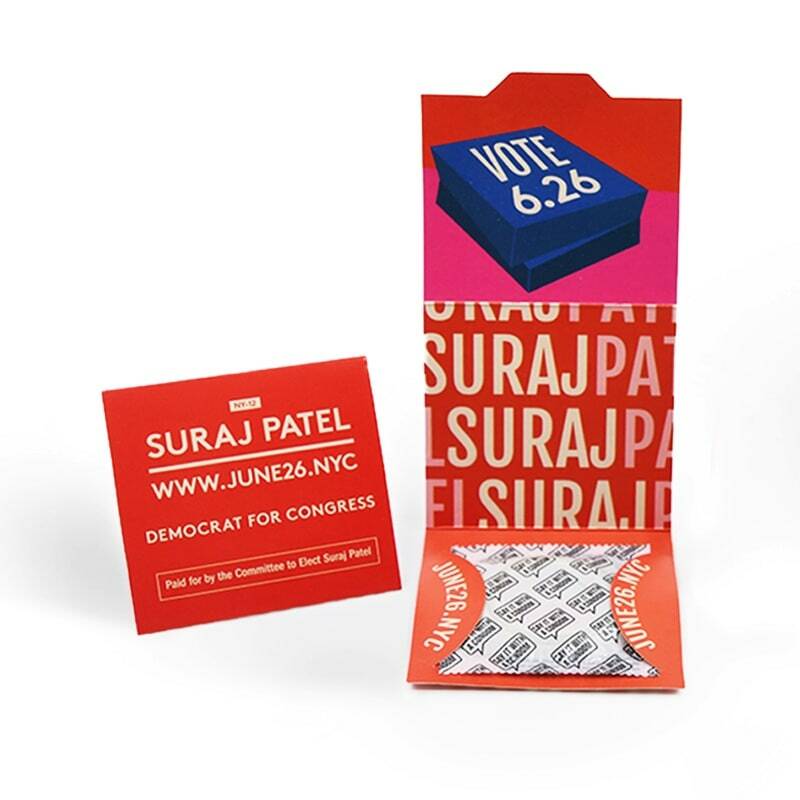 They provide health, social, and educational services to over 42,000 individuals each month. 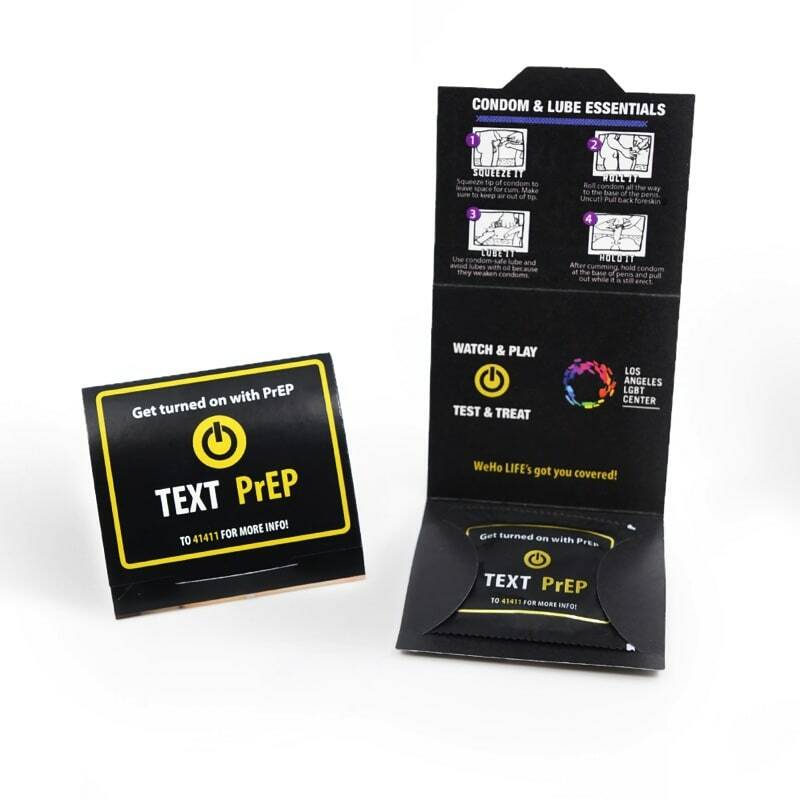 The center partnered with Say It With A Condom to distribute unique matte black condoms custom and trifolds that raise awareness of PrEP. Read the full story. Indiana University's Culture of Care campaign is a year-long, campus-wide awareness initiative to foster Hoosier-to-Hoosier care in the areas of sexual well-being, drug and alcohol awareness, mental health and respect. Read the full story. 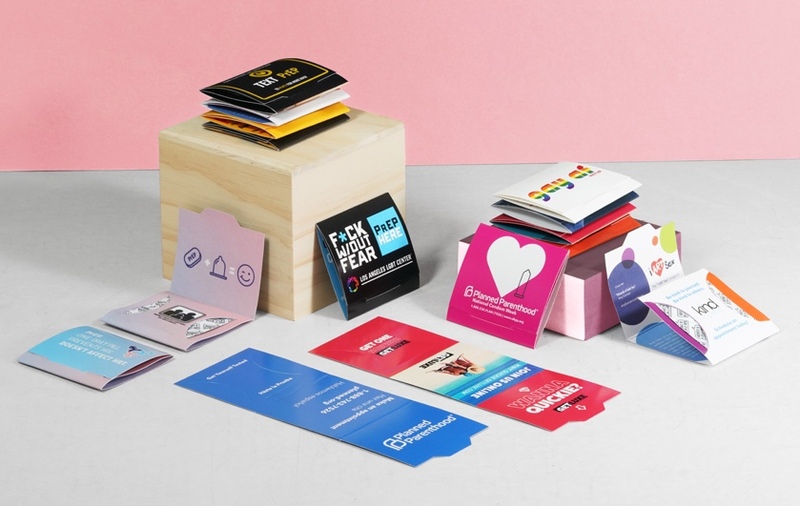 Our products have been successfully used in campaigns globally and we can help you create your next campaign. Schedule an appointment to speak to our design specialists.